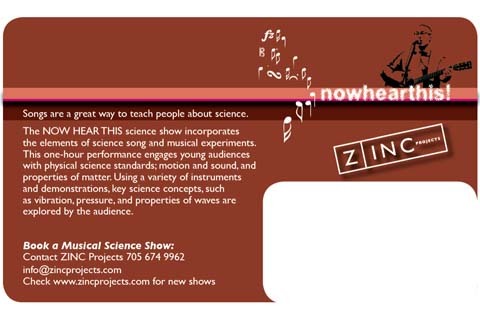 Logo Development and artwork for a Canadian Music Science Show. “Songs are a great way to teach people about science. 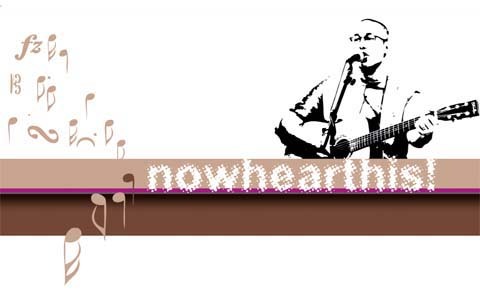 The NOW HEAR THIS science show incorporates the elements of science song and musical experiments. 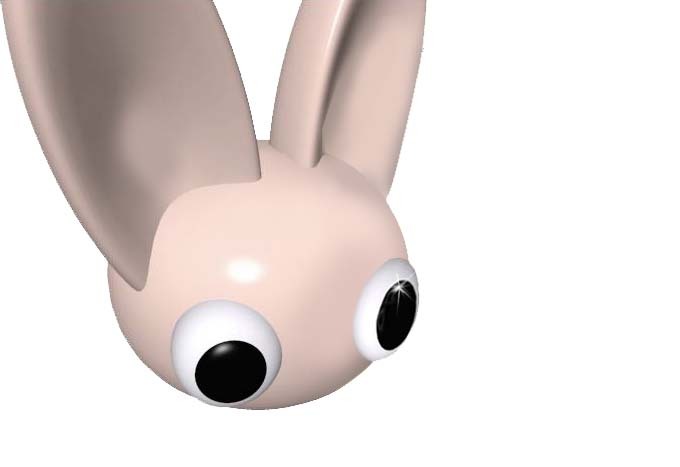 This one-hour performance engages young audiences with physical science standards; motion and sound, and properties of matter. Using a variety of instruments and demonstrations, key science concepts, such as vibration, pressure, and properties of waves are explored by the audience.